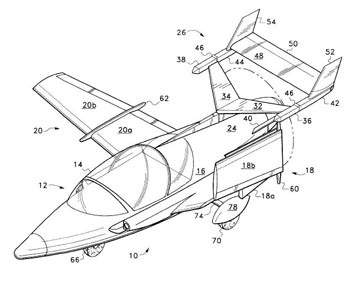 The difficulties of designing a successful Flying Car are enormous. The design requirements of a ground vehicle are so different to those of an airplane, that the task of trying to marry the two sets of requirements together into one craft presents many challenges. Here we see a Pulse look-a-like with a folding wing.. Since the Pulse already has met the requirements for road worthiness, it seems to be a natural choice because of its aerodynamic design, light weight, powerful engine, etc. 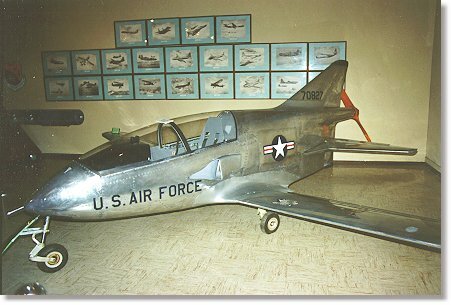 Remember that Jim Bede designed the BD-200 autocycle and the BD-5....which really does fly. One of the biggest hurdles in the "roadable aircraft" project is to get governmental approval on the roadable vehicle end of the project. Thats why some designers are looking into tiny cars to add a wing to. At least the auto would have a 'title' and could then it could be chopped up and modified. An enclosed motorcycle may be somewhat easier...like the Pulse. Maybe someone will take this idea and run with it. The idea to fly to Chicago for lunch with your sweetheart is a great dream. Now for dose of reality........Do you know anyone who drives their $100,000 car into Anytown, USA and parks it on the side street every day while their off at work ??? And a aircraft is more fragile than an expensive automobile. I know alot of aircraft owners than won't fly their $70,000 Cessna 172 to another fenced airport and leave it out over night. They will rent a hanger to park it in.